Time for another round of Yvo’s Shorties! This time around a 2018 release I wasn’t able to get to last year and a classic I’ve been meaning to read for a while. 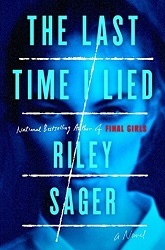 The first, The Last Time I Lied by Riley Sager, went better than I hoped and I ended up really enjoying it. 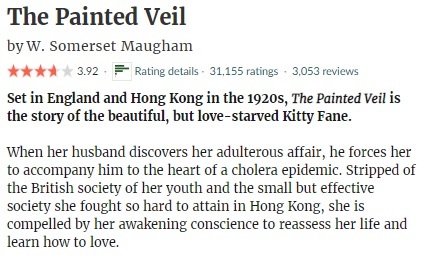 The Painted Veil by W. Somerset Maugham sadly wasn’t really my cup of tea though. There has been a lot of hype around The Last Time I Lied, but after my experience with Final Girls I decided to stay away for a while before finally picking it up. I’m not sure if this tactic helped or if I found his second book to be simply better than his debut, but the fact is: no unpopular opinion review this time around. Oh yes, you can say I really enjoyed my time with The Last Time I Lied. 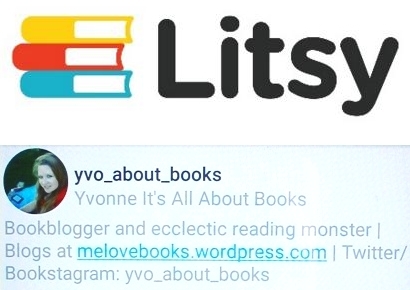 (What’s with all those books with ‘lie’ in the title though?) The writing is strong and draws you right in; the descriptions of the art and surroundings are done in such a way that really makes them come alive. This story has a dual timeline, where we slowly learn more about what happened fifteen years ago, what is happenening at the camp right now and how the two relate… Using the unreliable narrator technique and a whole bunch of twists, secrets and lies, Riley Sager will be able to keep you guessing about what really happened all those years ago. And not only that, because things are happening in the present as well that make you wondering what is really going on and who is behind it all. The final twists were definitely a surprise! 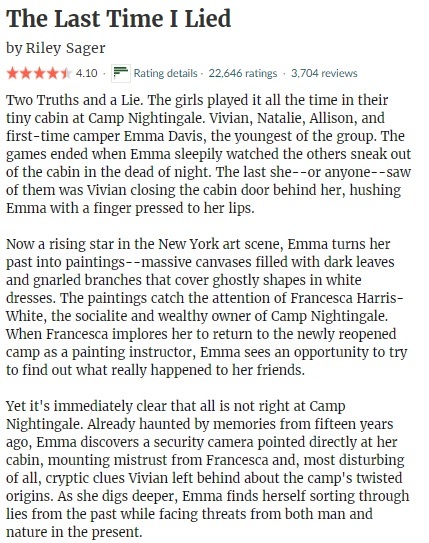 I’m not sure if Emma and the other characters are exactly likeable, but they feel well developed and the Lake Midnight setting is both eerie and fits the story. This feeling that something is off sets the right atmosphere for a story that will keep you engaged until you find out every last detail about that night the girls disappeared and how everything affects Emma and the others in the present. I can understand the love for The Last Time I Lied now! While I was browsing for something a little different to read, I stumbled upon my copy of The Painted Veil. 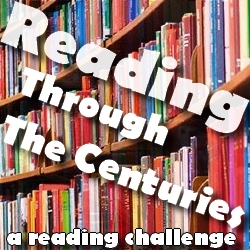 I was looking forward to a historical fiction read and the promise of a foreign setting in the 1920s sounded great. Add the fact that reading it would mean crossing off my first classic of the year early, and I was fully convinced. What I didn’t expect is just how focused this story is on the romance, adultery and love triangle. 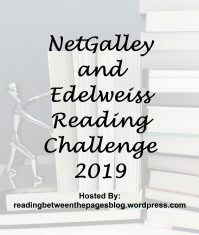 This never goes well for me and I guess it’s part of the reason I’m guessing The Painted Veil simply wasn’t for me despite my love for historical fiction. I do have to say the setting was well developed and the many descriptions of especially the Meitan-Fu area were really detailed and made it come alive. The foreign culture is probably the most interesting aspect of this story, and it’s a shame there is not more focus on it. 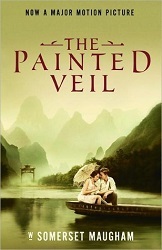 The Painted Veil is a character driven story with especially Kitty in the spotlight. You can guess that being unable to connect to her presented a big problem for me… Likewise, I can’t say I was charmed by the other characters either. I am very curious about the movie though, which I’ve heard lots of wonderful things about. 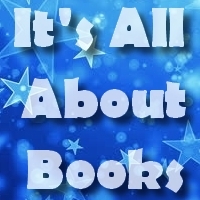 But sadly the book didn’t manage to blow me away.